So... are bridges actually indestructible when raised? If not, then why don't we have a moat? 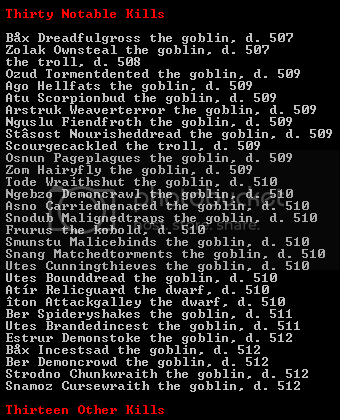 Given that this is Battlefailed, there's a strong possibility that any dwarf I selected would be dead, insane, or lost to the void by the time my turn rolled around. Last journal of "Daetrin" Lokumamal, Apprentice Mason. I knew this this place was full of undead. I never thought the land itself would be corrupted. Slime seems to ooze from the walls, the floor. Rot is everywhere; the very stone seems fragile and festering. And now as I lie in the hospital bed, amid corpses and skeletons, it seems the corpses themselves are the ones that tend to me. Are we cursed just by being here? Are we already undead and don't know it? Or perhaps we were never alive in the first place. Perhaps I never made it to Battlefailed, and this entire time has been some sort of purgatory, between life and death. I would prefer, that, I think, to the thought that this place is hell...or is real. I think they are indestructible, at least I've never seen one destroyed (I've heard that as long as you don't try to atom smash certain megabeasts they can't be destroyed, but that might not be correct) and Pisano the dwarf certainly has no idea about such things, he just thinks that stone formed by dwarf masons is well-nigh indestructible. Daetrin had the worst case of rot I've ever seen. He must have rolled around in that slime or something. Hahaha this rot situation is brutal and hilarious. 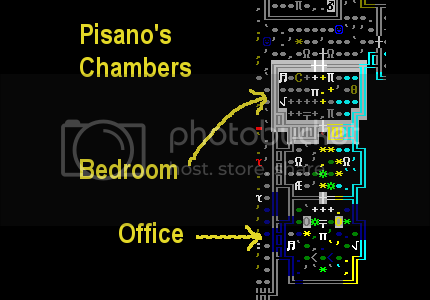 Ive got a fortress at the moment where half my military are blind, have massive scars over every inch of their body and are at least partially blind due to forgotten beast extract/dust. I really wish clothign worked properly in 31. it drives me nuts sometimes especially considering teh clothing goblinite. The mandate to not export adamantine items ended and a new mandate was issued. Perhaps Twobeards wants to see us recultivate lost skills with this one. There isnt' a dwarf among us who knows a lick about glass making. I just hope they don't burn off a limb in the magma glass furnace or something. Really, we're letting a three year old organize a party? This one is a future mayoral candidate if she lives that long. I guess it wasn't that great a party. 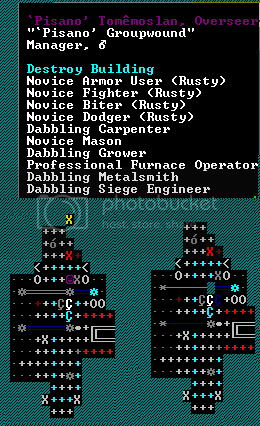 I heard later that nobody but Urist showed up. I guess we are all too busy and if you are too busy for a party with a three-year-old, well, I guess that says something about us now doesn't it? Despite my suggestion Fikod that he is on the hook for producing a green glass item, he doesn't seem all that inclined to do so. He keep muttering that he have no idea how to make glass items. I handed him an instruction manual and told him he'd could temporarily stop hauling if he got to it. They are gone! The invaders have left us. We now have a thief stealing valuables from outside of the gate, but frankly unlesss I see a trade caravan or some migrants I'm not inclined to open the gates for anything. Kobold vermin and goblins are practicing their hunting skills on the skeletal horses. Would that I had a few fine lads in tempered steel, I'd send them out to end those runty wretches. Only one patient remains in the hospital, the child Obok. I think some of the others are checking themselves in periodically though still, perhaps returning on doctors orders for a check up. Fikod finished the green glass window. 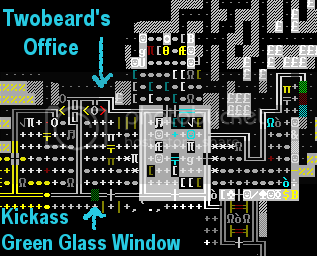 Green glass is one of Twobeard's favorites so I'm going to have it installed in his office. I've had to start up the booze production again. Somehow our stocks have dwindled. I can't imagine 20 or so dwarves drinking almost 500 bottles of beer in 3 months. All I can think of is that with the flood we've been cut off from a significant portion of our booze sockpile. The FAILCANNON may be ready any day now. I believe one more axle is all that is necessary to start it. I've taken the precaution of hooking a couple of the gears up to The Lever of Precaution which I've placed right by the FAILCANNON. The FAILCANNON is active.. and failing. There is no power to the two topmost pumps which I missed when I consulted the schematics. Shortly after the FAILCANNON started pumping I realized it was flooding the ground level. Argh! I guess gear's aren't watertight afterall. I can't believe I trusted them. These are the designs tha the so-called mechanics came up with?! Now is when that lever will come in handy, let's hope the mechanic's at least hooked that up right. Maybe the water will wash away some of the filth outside of the FAILCANNON at least...but if the lever doesn't work we might flood the rest of the fortress. 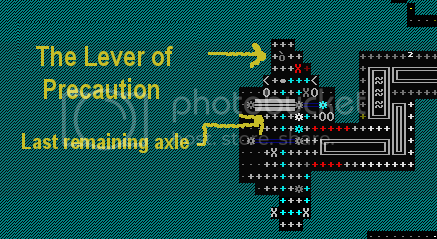 Yeah, the Lever of Precaution, my brainchild, only disabled one of the gears. One pump is still pouring water onto the ground. And despite my pleading, still nobody will remove the gear that will disable the failcannon. On the plus side we didn't flood anything and we did manage to wash away some grime from the beach. After a few slight modifications to the design, mainly with how it is powered, construction on the FAILCANNON will now continue. Today is my birthday. Knowing how much I like silver, and owing to the fact that we had over 150 silver bars, the boys whipped up a few silver ornaments for me and placed them all around my room. I can't believe it, it is so wonderful to have silver all over my room. Thanks guys! Hurray, a human caravan has arrived... and an odd diplomat as well. Now if I can just find the lever to open the front gate. I know I saw it around here somewhere. Seth deconstructed the door opening lever for some reason, you'll need to make a new one. I hope you get something out of these humans. I rebuilt it in the same spot, but I don't think I reconnected it to the bridge. Wait, no, actually, I think I might have to make a sanity check if I knew the answer. Reading about FAILCANNON made me think that maybe, just maybe, flooding Battlefailed to wash away the grime and extracts might be a splendid idea. It's been so long since I checked this thread and I only read the latest few updates, but wow. Welcome back to the madhouse, brosef. Cat:"THIEF! Protect the hoard from the skulking filth!" Front gate lever, the one marked, "astonishingly..." I was astonished more by the fact that despite being flanked by statues in the image of dwarves it didn't seem to work. Trade Hall gates lever, I pulled this just to see what would happen (what could possibly go wrong?) and damn if I can tell what happened. I do see two silver bridges next to the trade depot, but it looks like a wagon can get through there, both before and after I pulled this lever. I mean if the front gate were open then a wagon could get through to the trade depot. The G.S.G.S. lever has the cryptic note: This lever controls the gates for the lever controlling the main gate. As far as I can tell there are no gates to the main gate lever and if there were you wouldn't be able to get into this room to pull this lever. Maybe the main gate and the front gate are different things? A ghost whispered in my ear that the main gate lever had been deconstructed. So I asked Creiydrek and he said that, as part of a beautification project, he had the lever rebuilt, but that it hadn't been hooked back up again. So I ordered that it be hooked up again. Luckily our front bridge/gate is made of rutile and we have no other rutile bridges in the whole place. This should be easy for the mechanics. 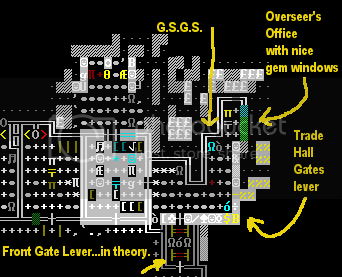 The mechanics tell me they can't find a rutile bridge anywhere that isn't already hooked up. So we must have a lever somewhere, but where? I found the levers that control the cistern and crop irrigation. I'm contemplating removing the bridge, rebuilding it and hooking up the front gate lever, but that would leave us vulnerable for however long it takes to construct a fine new draw bridge. The humans dispatched a goblin thief and then were ambushed by some bowmen who they chased off. The front gate lever just looked so nice that I pulled it again to see if something different would happen and wouldn't you know the main gates opened! However, the humans aren't making their way to the gates. For some reason that I cannot fathom access down the remaining ramp way is blocked. Only thing I see that could be blocking are a sapling, a dead shrub or a floor grate. I don't see how any of those things could stop a wagon. I've asked the masons to build a floor over that sapling and to seal up a breach which would allow flying beasties from the cavern to enter the fortress. Through the crack I could see Nagnod, some sort of gigantic blob of water with two stubby but undulating tails. It seemed to be hovering there so maybe it can fly but can't get through the small crack. 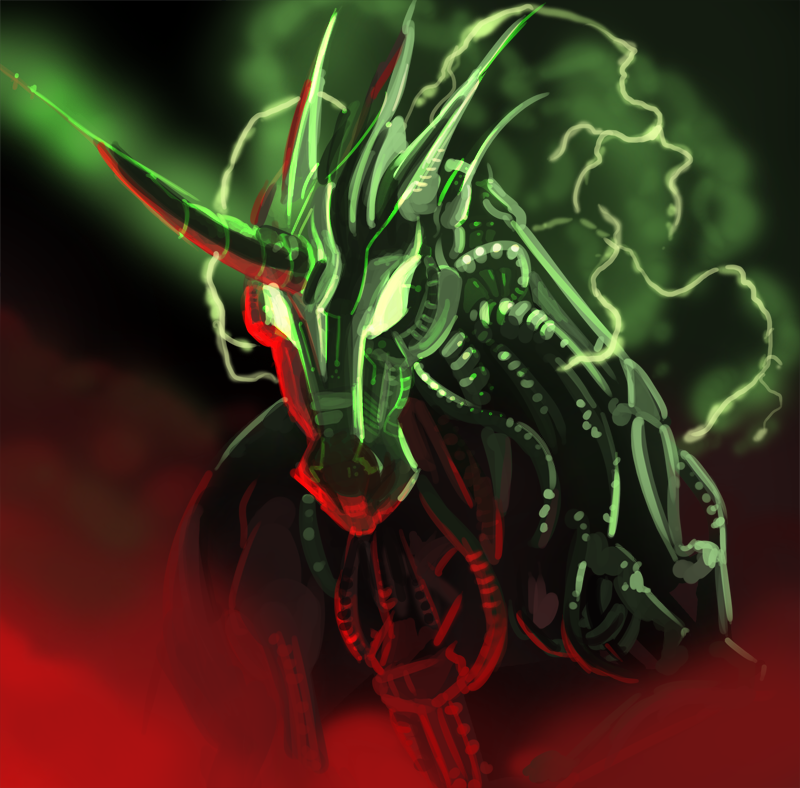 The last thing we need right now is another forgotten beast wandering the halls. I also ordered the construction of an trade depot up top, but inside our gates, as a temporary measure. The humans caravan is making its way inside, hurray! Maybe they will find their way down to the main trade depot after all? Goblins are ambushing the back of the caravan. Zon had taken it upon himself to be stationed inside the gates for just such trouble. The humans guards should get there first, but Zon insisted on going to help, it is only a half a dozen or so of the foul greenskins he said. I haven't seen him look so happy in quite a long time. Zon really enjoyed himself! Goblin limbs were sailing off left and right. He is a regular Cuisinart. Oh, what a rousing sight! When it was all over Zon notched 5 more kills with one of the greenskins fleeing before she could catch up. The humans guards were not much help, I think when they saw Zon trundling along they just went inside with the lead wagon. 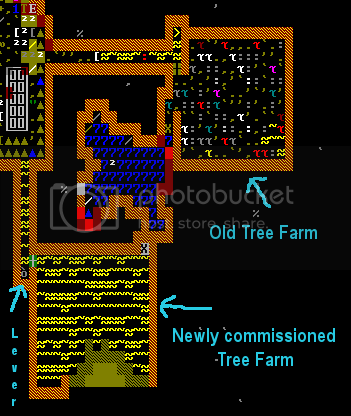 Since we are desperately low on wood I've commissioned another tree farm up top. This is a long term investment however, hopefully the traders will have some wood for us. oh no! With the gates open and my discussion of needing wood Kubuk and Inod have taken it upon themselves to go and cut down some trees. I was certain I had rescinded all outer world wood chopper certificates (designations), but I realize now that I never had a chance to tour that hole to the north. Sure enough there were some wood chopper certificates at the bottom of a stack of paperwork I haven't gotten to. They are rescinded and properly stamped in triplicate with the diorite seal, the alabaster seal, and silver seal, but Inod and Kubuk are already on their way down. Somehow the merchants have found their way down to the trade depot, I guess we won't be needing the temporary depot after all. Kubuk and Inod made it back safely. I couldn't believe my eyes when they walked back through that gate. I also promptly ordered it shut as soon as I had word they were inside. We're all anxiously waiting for the traders to finish unloading. The first six months of this year could have gone far far worse, other than those we lost the first month we've had no causalities. But our progress on the FAILCANNON has been mostly a failure thus far. Man, I hope you get some migrants in. 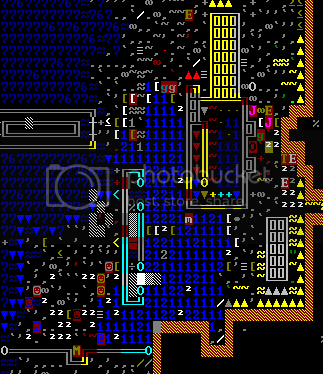 I need workforce... in case I decide to move the whole fortress. Again. Because, why the hell not? It will surely work this time! I'm not sure if I'm kidding or not. Honestly.